Ready to hit the trails this season, but looking for a few fun new tools? Check out these apps for your smartphone that can help take your trek to the next tech level. 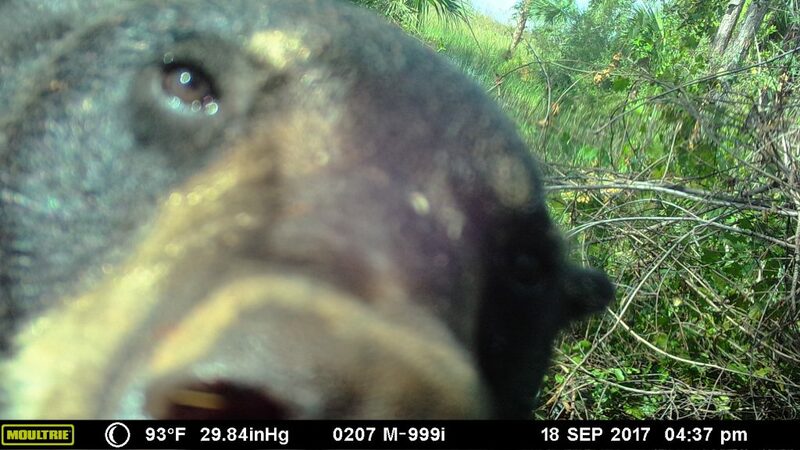 You can use your phone for more than selfies, Mr. Bear. WeatherBug: This app has a program within the app called Spark which will show how close lightning is to your location. When should you find shelter and get far away from lightning? We say follow the pool rule – if lightning is within ten miles, get to shelter. Florida is the lightning captial of the United States and it is always better to be safe than sorry. PlantNet: Can’t remember the name of that pretty purple flower? 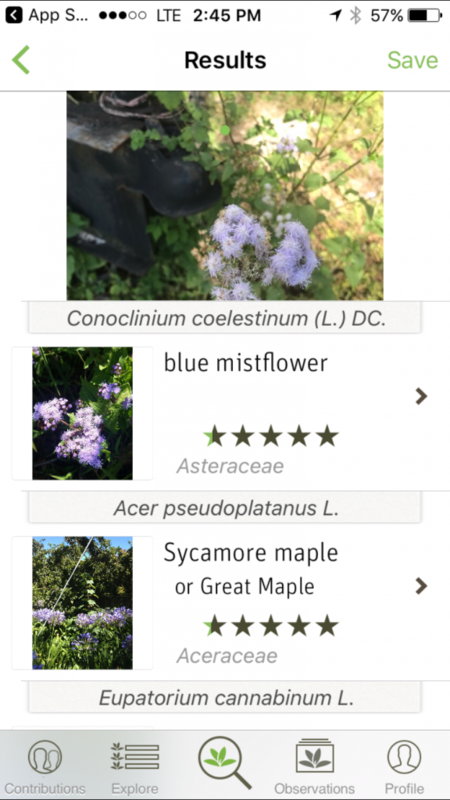 You can jog your memory with the use of this app and maybe correctly identify the plant. This is part of a global project so, if your plant isn’t in the app, you can help by adding it! Check out this shot of a flower I took by our office, then searched for, and quickly identified! Merlin Bird ID by Cornell Lab: This app lets you load bird packs (birds in your area) so you can tailor the app to where you are, or where you are travelling to. Peterson Bird Identifier & Field Guide: They had me at field guide. This includes over 800 species of North American Birds and looks enough like your hardcover field guide that you’ll feel right at home. Audubon Bird Guide: Reviews say it is the best free bird field guide available and it lists nearby observations. You can log your sightings and connect to a social community of birders. And, if you love owls, check out the Audubon Owl Guide app. AllTrails: This app is one we are starting to use ourselves to get our trails out to the world! This app lets you explore trails and check out reviews. It’s also helpful if you are looking to explore more trails in the area (and more of our trails) or heading out of town on vacation and want to scope out the local landscape. One Response to "Trail Tech"
Excellent coverage of some of the apps to improve our outdoor experiences when necessary! !